"Mike was highly recommended when I posted about needing our septic cleaned. He was so clean, professional and eager to help us in anyway that he could ! He even offered to come out today being a holiday and take care of us and he did just that !! Thanks again Mike for your AMAZING service !!" "Very pleased with the service from Mike!! He was extremely personable and I enjoyed chatting with him while he was pumping our tank. Definitely will be recommending him and using him for our new farm!" "Exceptional guy, doing exceptional work. Mike was extremely helpful and professional throughout the entire job. Would recommend to anyone with septic issues." They were very prompt and did a excellent job. 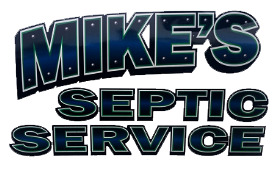 I highly recommend Mikes septic services to anyone who ask. "I called Mikes Septic yesterday afternoon, he came out this morning and pumped everything out, had a great experience and a good guy to know!! Would highly recommend Thank you again!" "Excellent service! Very knowledgeable! Very reasonably priced!" "Prompt, courteous, professional service. Highly recommend!!"